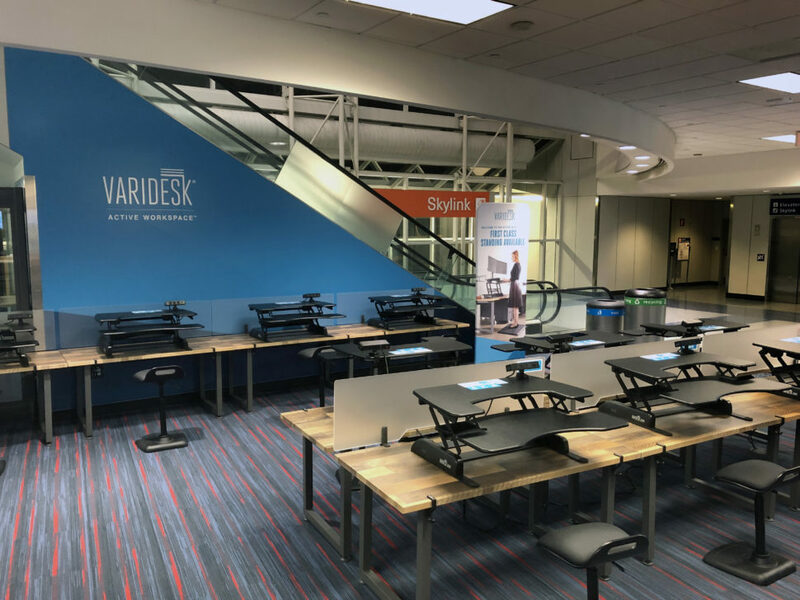 Varidesk, headquartered in Coppell, launched its Active Workspace in Terminal C at DFW Airport today—complete with charging hubs, free Wi-Fi, meeting tables, and the company's trademark innovation, the sit-stand desk. Most frequent fliers have experienced the headache that is a crowded terminal: having to search amidst disgruntled travelers for an open outlet, settle on the floor for space, or uncomfortably balance a laptop on your knees. 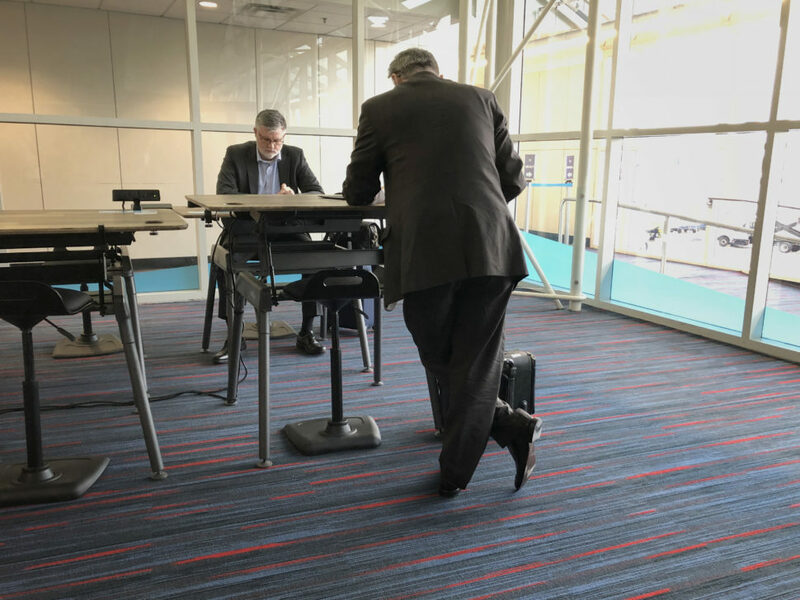 And for those traveling for business, navigating how to get stuff done in an airport can sometimes be more effort than the actual work itself. That’s where Varidesk is stepping in. 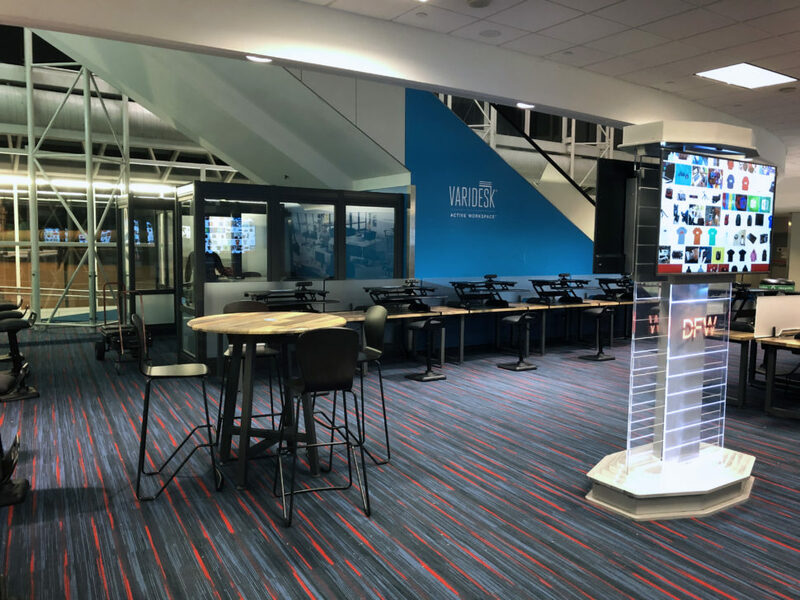 Coppell-based Varidesk, a manufacturer known for making its sit-stand desks an office commonality, opened the first-of-its-kind free coworking space in Terminal C at DFW Airport. The Active Workspace is specifically designed for business travelers needing to master their to-do lists quickly and efficiently. The coworking space features the company’s standing desk workstations, casual meeting tables, 75 powerhubs for charging, and complimentary Wi-Fi. There’s also a private area for impromptu meetings that’s outfitted with Varidesk’s new QuickFlex Walls and a conference table. We told you about the movable wall panels, designed to quickly transform flexible office spaces, when they made their debut in October. CEO and co-founder Jason McCann said each Varidesk product is built around the concept of an “agile workspace,” and the QuickFlex Walls fit that idea as they allow facility managers to speedily create and break down defined areas. 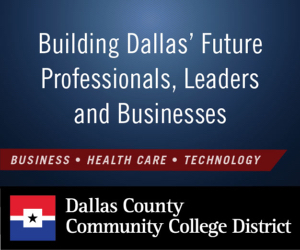 “Work is constantly evolving, and flexibility is needed now more than ever before,” he said. And the Varidesk numbers back up that claim. The company says its products are used in 98 percent of Fortune 500 companies and sold in over 130 countries. 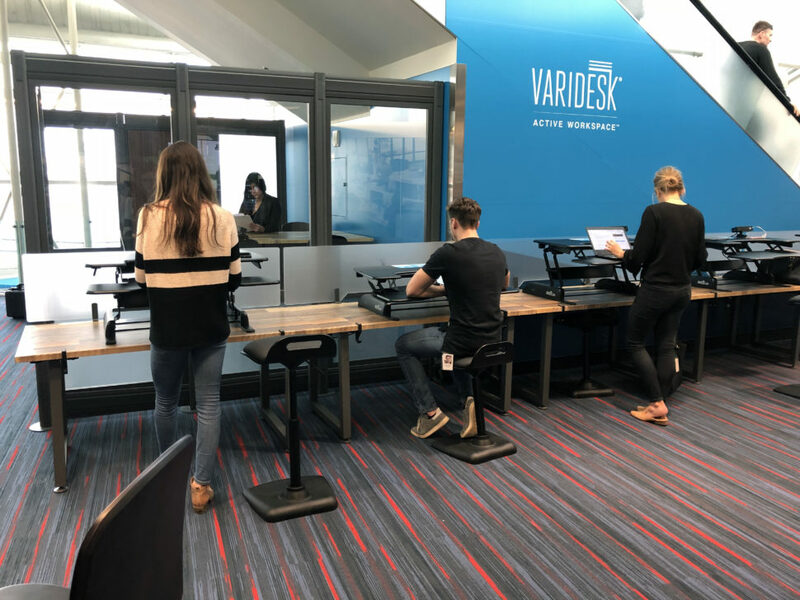 Calling itself the world’s leading active workspace innovation company, Varidesk has come a long way since McCann and company owner Dan Flaherty created its trademark product, the height-adjustable standing desk, back in 2012. The original product was built on ease: the design shipped fully assembled, could be raised manually, and mounted on top of already existing desks. Today, the company has expanded to a full line of office furniture and accessories, all in-stock and ready to ship within 24 hours. The intent is to provide a quick and easy way to completely transform an office space and help people feel better at work. 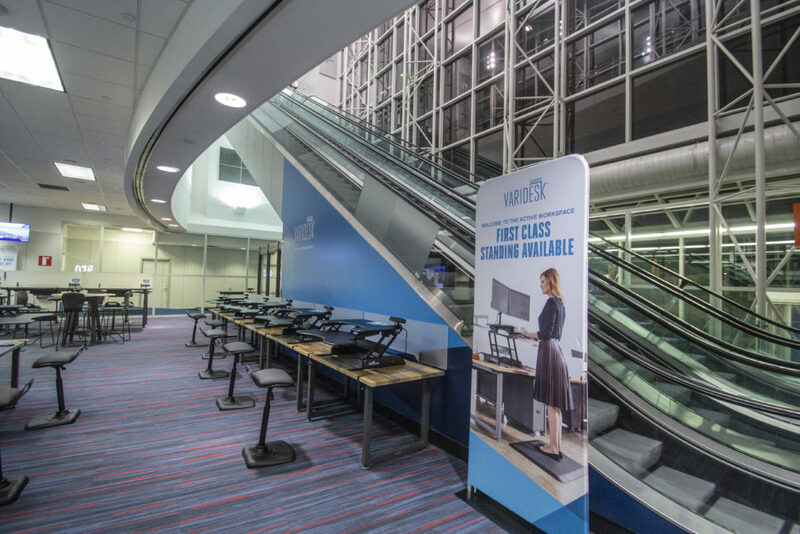 And Varidesk’s newest innovation fits the company’s M.O.—not only does the Active Workspace in DFW Airport encourage travelers to get on their feet, but it was also installed by the team in just 24 hours. Moving forward, Varidesk says it’s exploring potential coworking spaces in airports across the U.S.
All photos courtesy of Varidesk. A recent report from Dallas-headquartered Regus found that flexible working creates economic, personal, and environmental benefits. Coworking companies are on pace in North Texas, ramping up new locations — most recently, Common Desk, Venture X, and new-from-Houston The Work Lodge. The takeoff of Kubos' mission control software—dubbed "Major Tom"—will mark its first journey to outer space. Major Tom was scheduled to be on the postponed SpaceX launch, originally slated for Nov. 19. 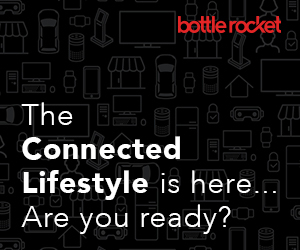 Rescheduled for Nov. 28 but also delayed, the next available launch window is Dec. 1, according to the company.